Here comes the Nook reader review. To be honest by the way, I have to say that it is a multiple models review, just like the Kindle one. 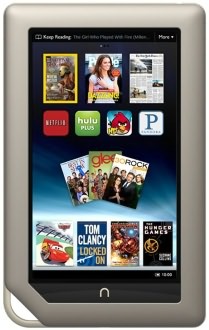 The first model is the Nook Simple Touch. It is a touch screen device with an E-Ink 6" display. It can holds up to 1000 ebooks. It also has a very nice battery life of about 2 months and that's a great thing for an ebook reader. In addition if you buy it you'll have access to the LendMe network which is a network of nook possessors that works just like Amazon Prime network. You can borrow books from your friends or from other people in the network. 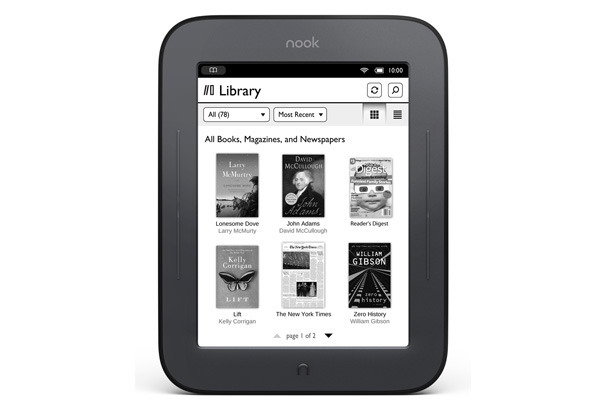 You'll also gain access to the Nook store where you can download 2.5 million of titles. It is a Wifi device. Basically the same device as the one above but with some improvements. If you usually read before going to sleep you'll find GlowLight a useful feature. The screen emits a low light that allow you to read comfortably. The best thing is that it doesn't diminish your battery life a lot. You'll have 1 month of readings! Memory is expansible by buying a microSD card (up to 32GB). This device is a touch screen color model. If you want to read ebooks tough it is not the best choice. 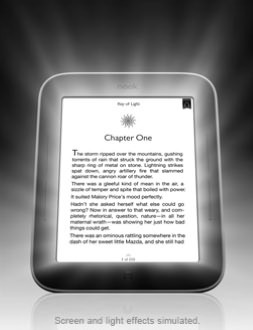 Do you remember the fact that backlit lcd are not so good when reading? Your eyes get tired faster. Still if you want to download apps, games and you want to browse the internet this could be the right choice for you. Kepp in mind that it has a very short bettery life: only 8 hours. 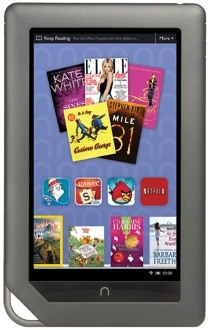 Don't you want a "simple" nook reader? Do you want a tablet right? Well if you already checked out the amazon kindle review continue reading this. A 7" lcd display, touch screen tablet for less than 200$. Do you need more specs? With a built in capacity of 8 and 16GB, there are 2 models, it is a very nice tablet indeed. It has also a very long battery life for the model, 11 hours. If you're still unsure of what model is the best, take a look at the table of content below to discover more ebook reader reviews.